Have you recently been in the hospital as the result of an injury or illness? If so, you may still have some recovery time ahead as your body continues to heal. During this time, your regular routine may need to change slightly when you head home after the hospital or after rehabilitation. Things like driving, handling household chores, or getting in and out of the shower may not be as easy, especially if you have a broken bone or health condition that hinders your mobility. The good news is that help is available. Home care offers you the helping hand you need so that you can continue to enjoy the life you love at home. One of the best things you can do to ensure a successful recovery at home is to make sure you have the support you need to stay healthy. That includes getting proper nutrition and taking the correct medication dosages at the correct times each day. 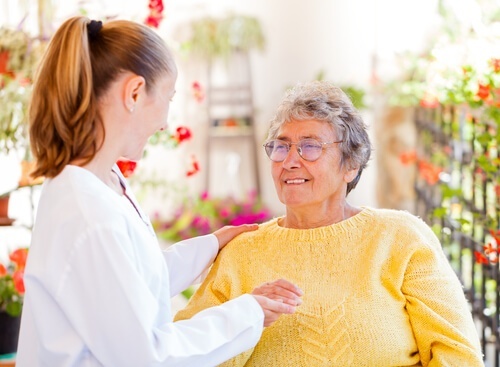 A home caregiver can assist you with these aspects of maintaining good health. She can help with grocery shopping, meal planning, cooking, and medication reminders throughout the day to make sure your body has what it needs to heal. Personal care becomes more difficult when you have to work around an injury or you are feeling weak. You may need help getting in and out of the shower, getting dressed, or brushing your hair and washing up. These needs are essential to maintaining a positive outlook, and having someone available to offer a helping hand as needed can help you recover faster. Falling is one of the top reasons seniors have to return to the hospital after an injury or illness. A caregiver can help prevent falls by assisting you as you walk through the house, helping you transfer from one position to another, or navigating steps if needed. If you live alone and have trouble getting to the bathroom at night or getting in and out of bed, you may also benefit from 24-hour care to make sure you don’t fall. If you don’t have family living nearby or if your loved ones have responsibilities that require their presence during the day, it may be difficult to find someone to drive you to and from follow-up appointments after your hospital stay. You may also need help getting to the grocery store or running other errands during your healing process. Knowing you can call on your caregiver to assist you with transportation needs can relieve the stress of wondering how you will get to your next appointment. Sometimes the most difficult part of recovering from a surgery or illness is the loneliness. When you are homebound and can’t get out like you used to, having someone stop by to check on you and chat with you during the day can be a great encouragement. 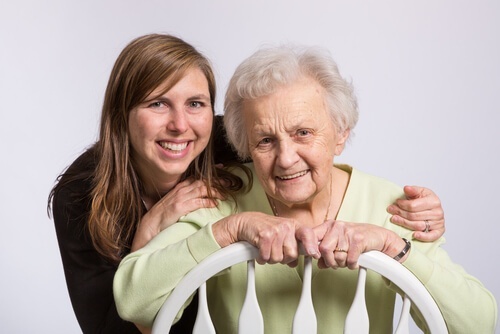 Developing a positive relationship with your caregiver is an excellent way to improve your wellbeing as you navigate the difficulties of the recovery process. How do you know if home care is right for you? Some illnesses or injuries require the ongoing oversight of a medical professional to be sure you are recovering as expected. In these cases, you may need to transfer to a rehabilitation facility before going back to your home. At Cherished Companions, our caregivers put the comfort and care of our clients first. We want you to feel completely at ease with your caregiver, and we also want you to feel confident that you have the support you need to recover as quickly as possible. If you are ready to learn more about how home care can help you after your hospital stay, give us a call!